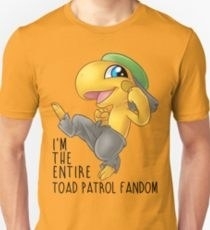 HELP, I Need To Find Someone Else On This Planet Who's Seen The Show "Toad Patrol"
I SWEAR IT'S A REAL SHOW. 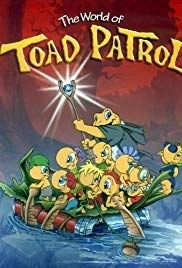 Does anyone else remember these cute lil' guys? My sister and I (pictured below) used to watch this every morning before school... and literally NOBODY I KNEW WATCHED IT. Us, at the age we watched this dang show, being cute AF. Like, none of my eight-year-old friends watched it, and I haven't met a single other person who has seen it since. Me, tryna find all the other Toad Patrol stans. ...but then I found the IMDb page, and low-and-behold, it's real. So, now I continue my worldwide search for somebody else who has seen this magnificent show about singing toadstools. If you are one of those people, just know... you are NOT ALONE! So... DID YOU WATCH THIS SHOW?